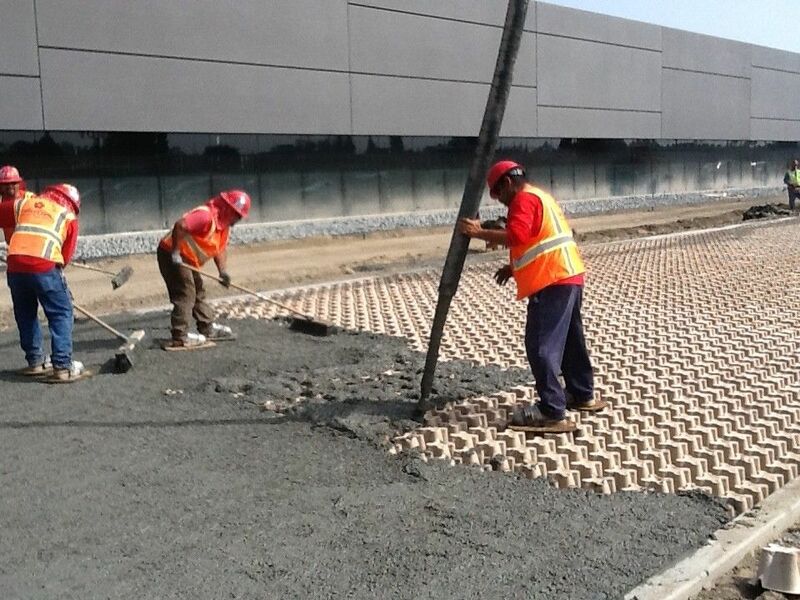 Hyundai Motor America recently completed building their new U.S. Headquarters in Fountain Valley, California. Designed by one of the most well known firms, Gensler, the building design is described as sleek and modern, yet classic, and built on a structural pedestal foundation with floating translucent glass floors above. Gensler designed a two-story high entrance, which leads to an open-to-the sky public courtyard in the building’s center. 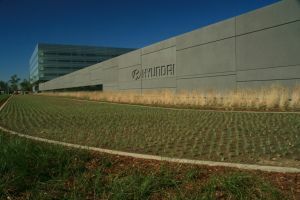 A showroom of Hyundai vehicles is visible from the freeway side of the new structure. 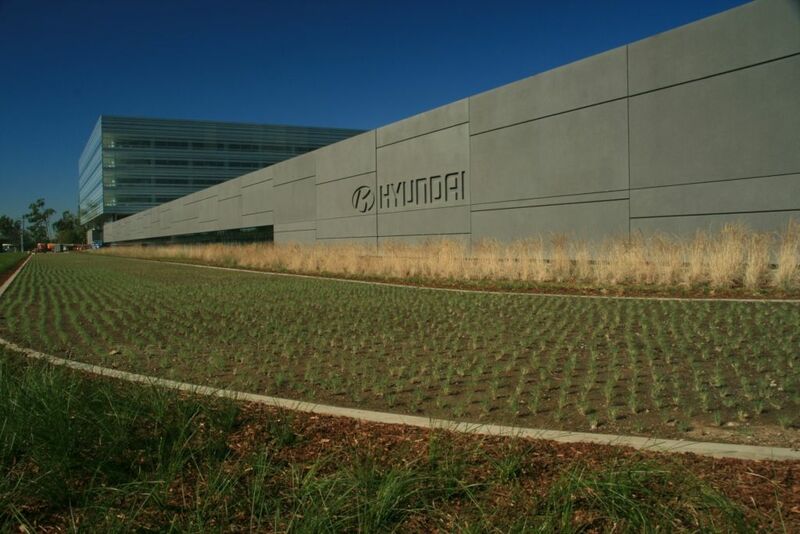 With the awe inspiring design of the building, Hyundai is seeking gold certification, the second-highest LEED rating. Leadership in Energy and Environmental Design (LEED) is an internationally recognized green building certification process assessing the sustainability of a building’s design, construction and operations. Gold certification comes from the building’s efficient use of light and energy, recycled water use from the site’s landscaping, including the rooftop garden above the testing garage, recycled materials used in the construction and some construction waste materials that will be recycled in the future. Grasscrete, pervious concrete void structured system, was chosen for its LEED attributes and will be used for emergency fire lane access. 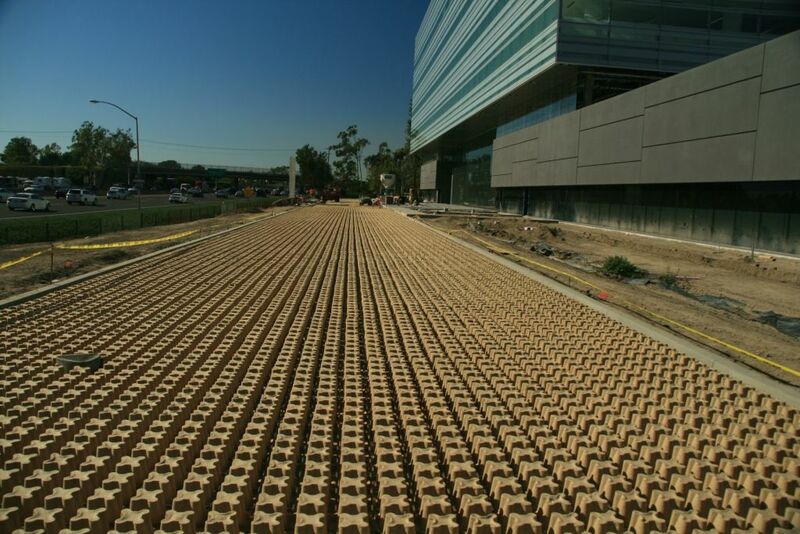 Installed with biodegradable molded pulp formers, the Grasscrete system allows for emergency vehicle access, management of storm water runoff, reduces heat island effect and uses recycled content in the application process as well as the concrete and sub-base. 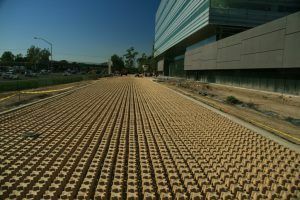 The Concealed Grasscrete System incorporated UC Verde Buffalograss for it’s drought tolerant capabilities. UC Verde Buffalograss once established can thrive on as low as 1/4 inch of water per week in some locations, resulting in up to a 75% reduction in water consumption. With the structural load capacity, recycled content and water management attributes, Grasscrete is a perfect fit for Hyundai’s quest for Gold.